Electronic cigarette company Juul Labs is facing increasing controversy lately, thanks to its huge appeal among teens. The latest batch of bad publicity comes from three recent lawsuits, brought by young Juul users and their families, who allege Juul’s products are more addictive than traditional cigarettes. The lawsuits were all reported by Wired on Monday. A third lawsuit was filed in June in New York. This lawsuit, filed on behalf of an unidentified 15-year-old by his mother, similarly alleges that Juul’s e-cigarettes were designed to provide more nicotine than traditional tobacco cigarettes. As a result, it further alleges, the 15-year-old—referred to as “D.P.” in the complaint—became heavily addicted to nicotine. He subsequently became “anxious, highly irritable and prone to angry outbursts,” and started failing in school, the complaint said, according to Wired. In addition to citing research suggesting that Juul products are pumping out more nicotine than expected, the complaints also go after the company’s earlier attempts to market its products as fashionable and fun. One complaint, jointly filed by California residents Bradley Colgate and Kaytlin McKnight, alludes to the “youthful colors and images of glamorous young models seductively exhaling clouds of vapors,” that once appeared on Juul’s website. Those have been replaced by middle-aged adults and marketing that suggests Juul products are only meant to be a smoking alternative for adults. Colgate and McKnight allege they both started using Juul products hoping to wean off smoking, only to become addicted to Juul products instead. The lawsuits aren’t the only bit of bad news for the San Francisco-based Juul (the first Juul product was released in 2015 by Pax Labs, but the company was split off as its own namesake entity in 2017). In April, the Food and Drug Administration announced it would attempt to crack down on illegal Juul sales made to teens at convenience stores. 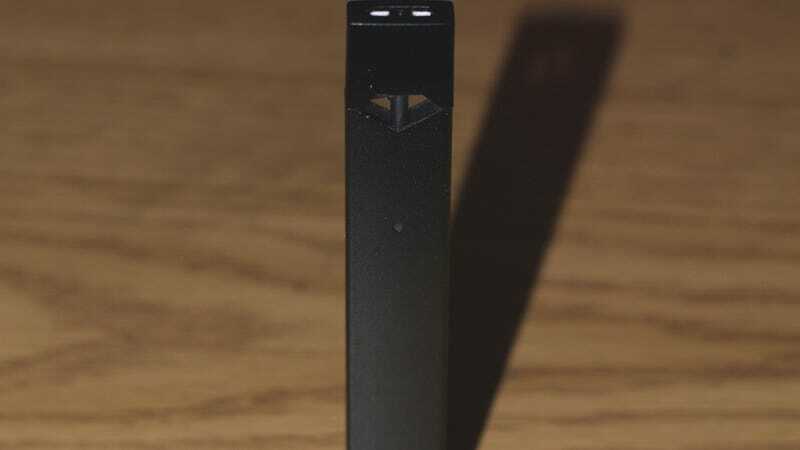 As part of that crack down, the agency demanded that Juul hand over any research it has on how kids are using its products, citing concerns that they might be uniquely addictive. “Juul Labs does not believe the cases have merit and will be defending them vigorously,” Juul Labs told Gizmodo via email. The company also confirmed that it has since complied with the FDA’s request for documentation. The FDA, meanwhile, was hit with a lawsuit from consumer groups and professional medical organizations, such as the American Pediatrics Association, in March, over its decision to delay the regulation process for e-cigarette products until at least 2022.